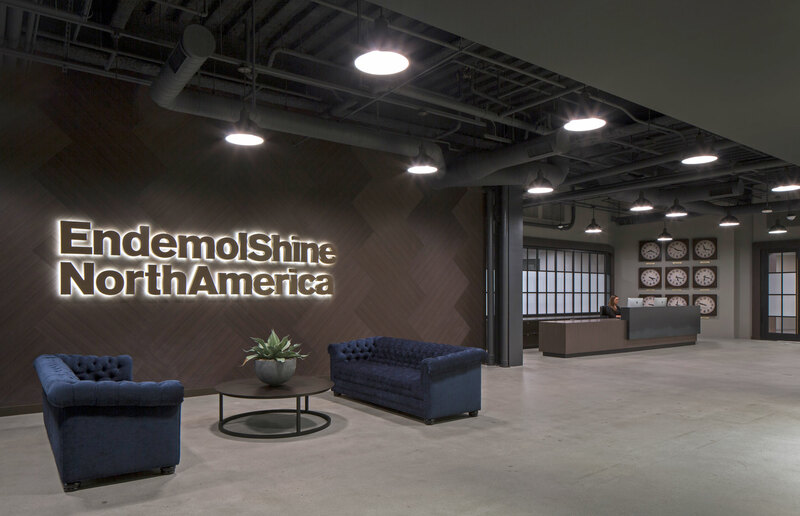 When television production company Endemol Shine established its North American headquarters, it infused a residential look that was more about an attitude than a corporate workplace. The newly occupied space, encompassing 150,000 square feet on seven floors across two buildings, brings together in one location, the administrative and production staff. 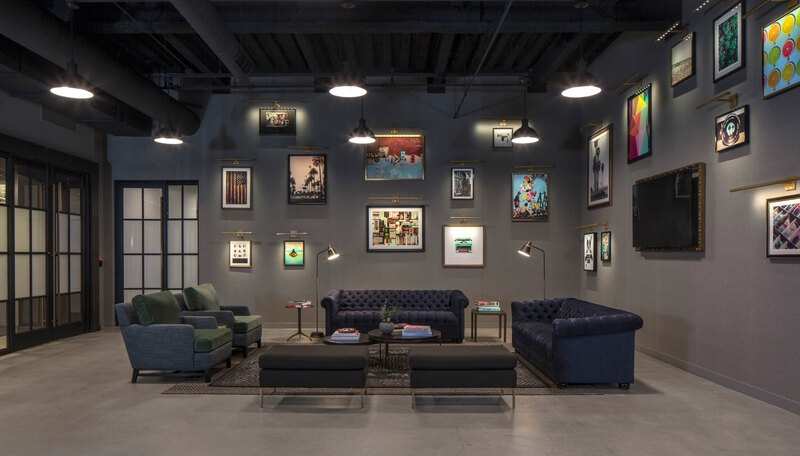 Located in Los Angeles’ NoHo Arts District, the open-space plan is designed to encourage interaction and convey a creative artsy mood apropos of the industry. 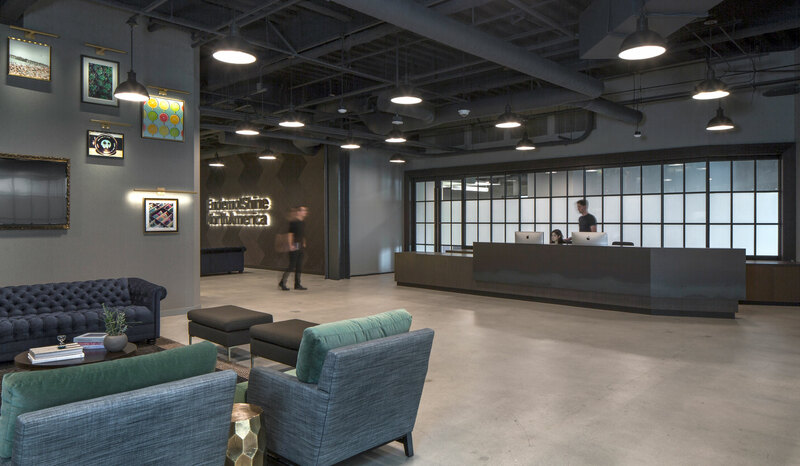 Unisource Solutions worked with Endemol Shine’s architecture firm, OKB Architecture, to create the desired look, rolling out a custom furniture program on the administrative floor, where the executive offices are located. 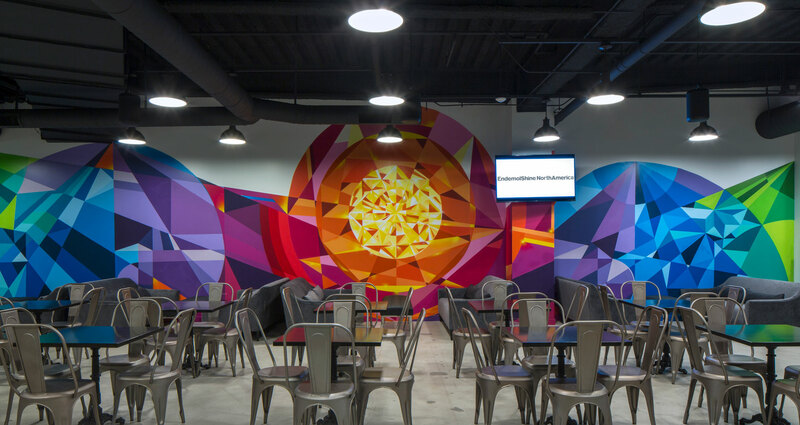 Since this floor is used for clients, it needed to be innovative, comfortable, and instantly convey the brand attitude and the’s company’s capabilities. 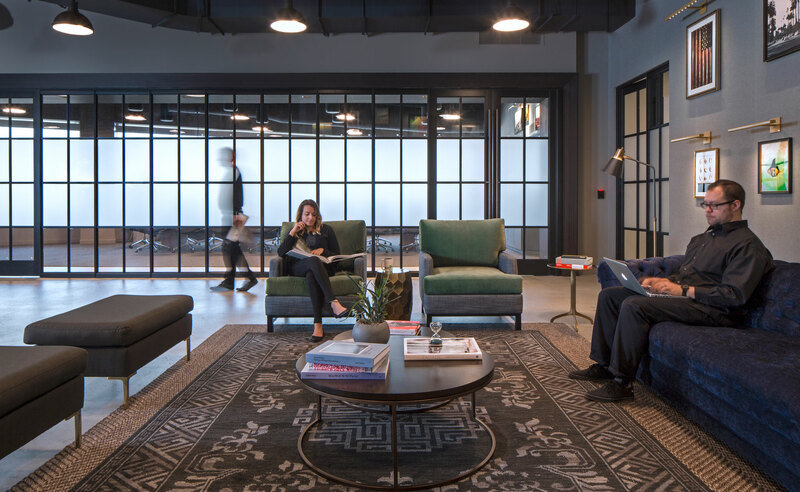 Related Article: What Is Corporate Culture and How Does Your Workspace Affect It? 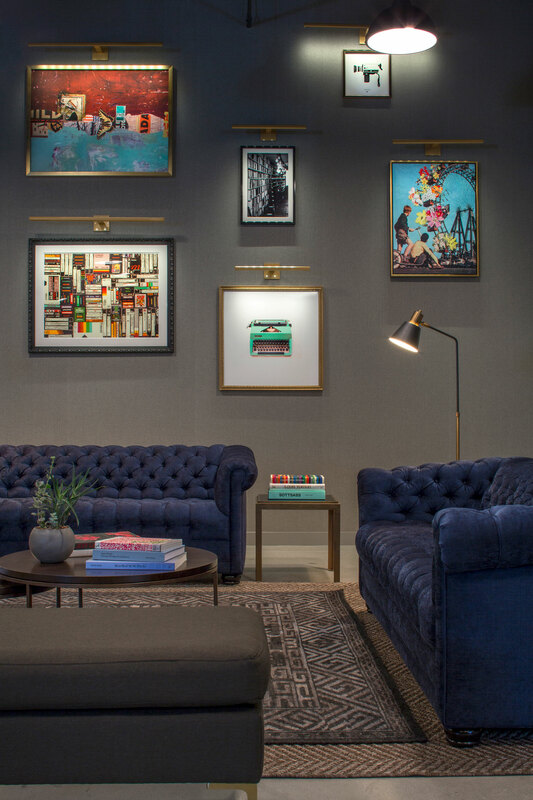 We worked with their team to create a reception area that exudes a boho living room vibe with a splash of speakeasy, complete with couches, coffee table, and artwork. Referencing stylish home catalogues, the client challenged us to come up with a furniture design resemblant of the popular Chesterfield sofa. 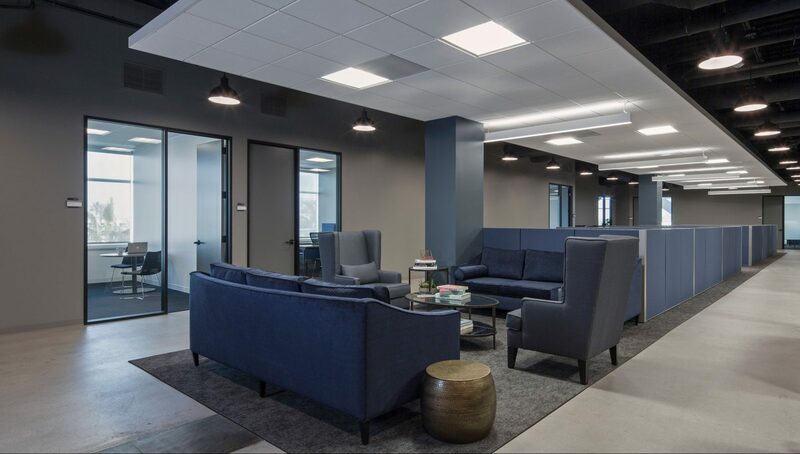 Adhering to their midnight blue and gunmetal gray color palette, we custom designed the sofas and chairs, upholstering them in commercial-grade fabric guaranteed to withstand the wear and tear of a high-traffic area, and meet building code. 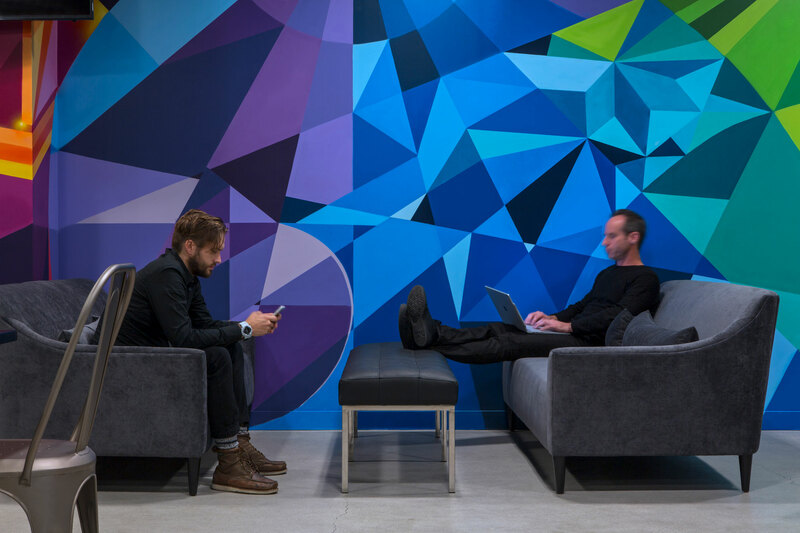 To create an authentic space that celebrates the company’s beginnings, which were spread across offices throughout the city, we created a gallery wall, framing iconic images and abstract prints. 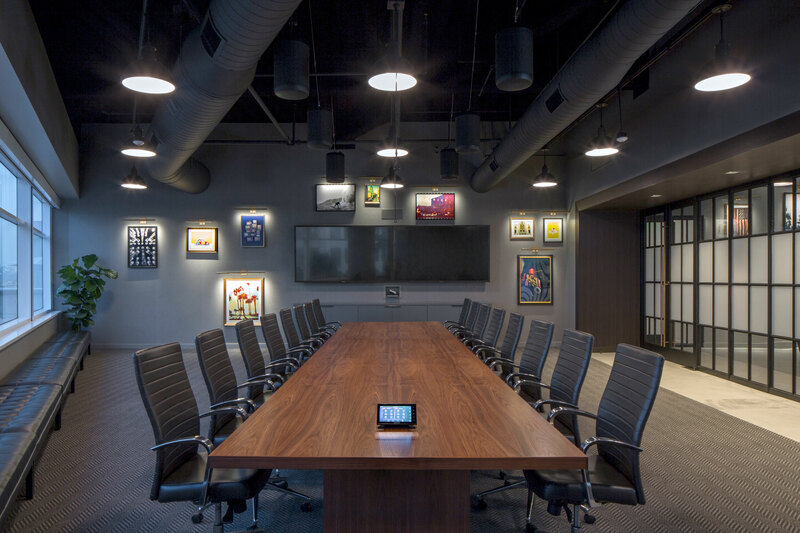 The gallery concept and lounge-like aesthetic was replicated in the executive conference room and incorporated the client’s signature blue and gray tones into all other facets of the workplace, outfitting: 5 lounges, the pantry-area, 5 collaborative spaces, 90 private offices, and 180 cubicle workstations. In addition, we performed relocation services for their entire company to move into the new space. We redeployed all their existing product, polishing and refurbishing legacy pieces, and installing them throughout the other six floors. 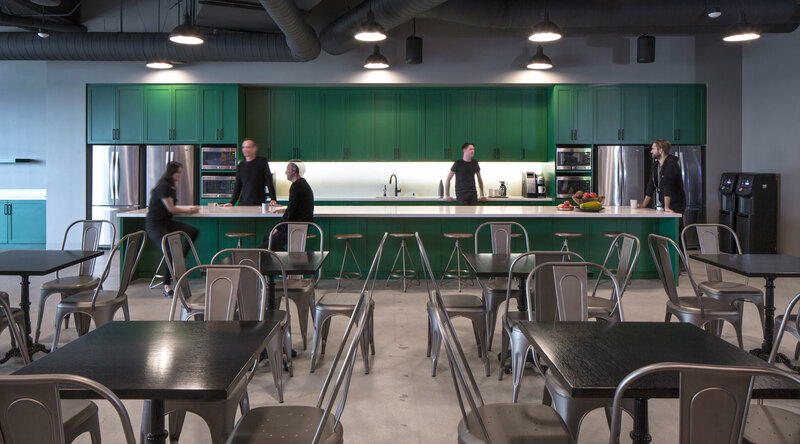 By coming up with a 360° workplace solution, we delivered a high-performing, brand-specific workplace concept that fulfilled the company’s space planning, budget, brand and culture, and resi-merical needs. Like what you see here and want to get started on your office and workplace design project?Let’s get started!